Arthritis is characterized by an inflammation and/or pain in a joint or joints of the body. Symptoms of chronic arthritis are pain, swelling, stiffness and deformity of one or more joints. These symptoms can be particularly bothersome at night when sufferers are trying to sleep. The use of certain natural substances may help to promote sleep and pain relief, as well as joint healing during sleep. 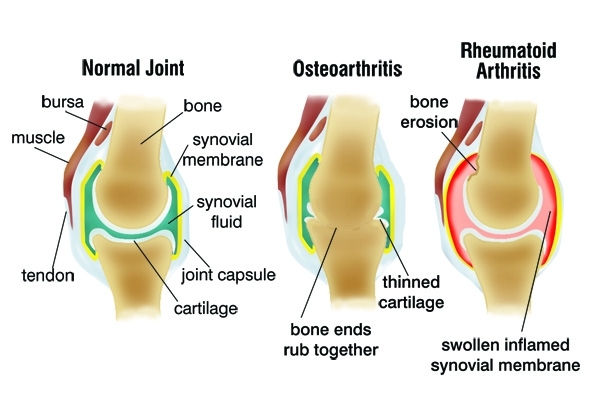 Before describing these natural substances, however, let’s first take a look at the two most common forms of arthritis: osteoarthritis and rheumatoid arthritis. According to the American College of Rheumatology, osteoarthritis (OA) is the most common form of arthritis (effecting more than 21 million Americans). It most often affects middle-aged and older people, involving the neck, lower back, knees, hips and fingers. Nearly 70 percent of people over the age of 70 have x-ray evidence of the disease, but only half of these people ever develop symptoms. It may also occur in joints that have suffered previous injury, been subjected to prolonged heavy use, or damaged by prior infection or inflammatory arthritis. Patients with OA experience pain and loss of function. OA results from degeneration of the joint cartilage. The causes of cartilage loss are multiple. Some kinds of OA are known to be hereditary, including the common form that causes enlargement of the knuckles. In most people, cartilage breakdown is due to both mechanical ("wear and tear") effects and biochemical effects. The American College of Rheumatology reports that rheumatoid arthritis (RA) is a chronic disease that causes pain, stiffness, swelling and loss of function in the joints and inflammation in other body organs. Unlike OA, RA is an autoimmune disease where the body’s immune system attacks its own joint tissue. While the cause of RA remains unknown, recent studies show that certain people inherit a tendency to develop RA. RA affects more than two million Americans. In either the case of OA or RA, supplementation with certain natural ingredients may help the situation—often significantly. Following is a discussion of key natural ingredients which may be used as dietary supplements to support joint health, and reduce some of the symptoms associated with OA and RA. UC-II is supported by six human clinical studies, including research at Harvard University Medical School. 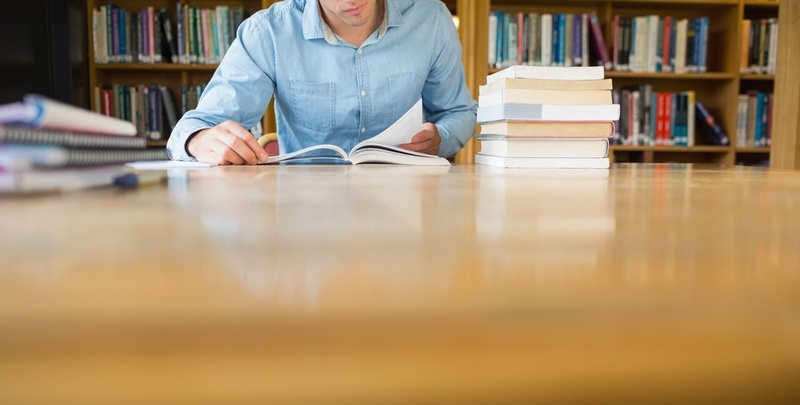 Here is a review of three of those studies. In addition, according to some researchers the fact that osetoarthritis is often characterized by an underlying immune disorder lends itself to the possibility that undenatured type II collagen could be useful in reducing inflammation and redness symptoms of osteoarthritis as well7. In horses with osteoarthritis, researchers found that UC-II at higher doses of 320 mg/day and 480 mg/day ameliorates signs and symptoms of arthritis without producing any adverse events, while 480 mg/day dose provided the greatest benefit. Methylsulfonylmethane (MSM), a naturally occurring, sulfur containing compound, is naturally present in body fluids and tissues and is found in milk and a variety of fruits, vegetables, and grains (in small amounts). At low levels of ingestion, it functions as a normal dietary ingredient and assimilable source of essential dietary sulfur. At higher levels it functions as a pharmaceutically active agent which can be used safely and effectively for a variety of purposes. These benefits may be a function of MSM’s antioxidant properties. The rationale for this relationship is that free radicals can perpetuate the degeneration of the joint in arthritis, while antioxidants may inhibit this process. Valerian and California poppy may help promote sleep and pain relief for arthritis sufferers. UC-IITM may help reduce pain and promote healthy joints in those suffering from RA, and possibly from those suffering from OA. MSM may also help lessen destructive changes in joints and reduce joint pain. The concurrent use of all of these natural substances may yield a better result than any one individually. 1 Sieper J, Kary S, Sorensen H, Alten R, Eggens U, Huge W, Hiepe F, Kuhne A, Listing J, Ulbrich N, Braun J, Zink A, Mitchison NA. Oral Type II Collagen Treatment in Early Rheumatoid Arthritis. A Double-Blind, Placebo-Controlled, Randomized Trial. Arthritis and Rheumatism 1996; 39:41-51. 2 UCIITM FAQ, 2004 InterHealth Nutraceuticals, Inc. Accessed October 14, 2004 from http://www.interhealthusa.com/faqs/UCII_faqs.aspx. 3 Bagchi D, Misner B, Bagchi M, Kothari SC, Downs BW, Fafard RD, Pruess HG. Effects of Orally Administered Undenatured Type II Collagen Against Arthritic Inflammatory Diseases: A Mechanistic Exploration. International Journal of Clinical Pharmacology Research 2002; 22:101-110. 4 Trentham DE, Dynesius-Trentham RA, Orav EJ, Combitchi-D, Lorenzo C, Sewell KL, Hafler DA, Weiner HL. Effects of Oral Administration of Type II Collagen on Rheumatoid Arthritis. Science 1993; 261:1727-1730. 5 Barnett ML, Kremer JM, St Clair EW, Clegg DO, Furst D, Weisman M, Fletcher MJF, Chasan-Taber S, Finger E, Morales A, Le-CH, Trentham DE. Treatment of Rheumatoid Arthritis with Oral Type II Collagen. Results of a Multicenter, Double-Blind, Placebo-Controlled Trial. Arthritis and Rheumatism 1998; 41:290-297. 6 Barnett ML Combitchi D, Trentham DE. A Pilot Trial of Oral Type II Collagen in the Treatment of Juvenile Rheumatoid Arthritis. Arthritis and Rheumatism 1996; 39:623-628. 7 Trentham DE, Halpner AD, Trentham RA, Bagchi M, Kothari S, Preuss HG, Bagchi D. Use of Undenatured Type II Collagen in the Treatment of Rheumatoid Arthritis. Clinical Practice of Alternative Medicine 2001; 2:254-259. 8 Gupta RC, Stocker A, Minniear J, Zyrkowski G, Canerdy TD, Barnett D, DeWees W, Goad JT, Bagchi M, and Bagchi D. American College of Veterinary Internal Medicine Forum 2007; 21(3) Abs 334:664. 9 Rizzo R, Grandolfo M, Godeas C, et al. Calcium, sulfur, and zinc distribution in normal and arthritic articular equine cartilage: a synchrotron radiation- induced X-ray emission (SRIXE) study. J Exp Zool 1995; 273:82–6. 10 Murav’ev IuV, Venikova MS, Pleskovskaia GN, et al. Effect of dimethyl sulfoxide and dimethyl sulfone on a destructive process in the joints of mice with spontaneous arthritis. Patol Fiziol Eksp Ter 1991; 2:37-9. 11 Lawrence RM. Methylsulfonylmethane (MSM): a double-blind study of its use in degenerative arthritis. Int J of Anti-Aging Med 1998; 1:50. 12 Foster S. Valerian. 1996 American Botanical Council. Accessed October15, 20004 from http://www.herbalgram.org/default.asp?c=valerian 13 Valerian monograph. Natural Medicines Comprehensive Database 2004. Accessed on October 15, 2004 from http://www.therapeuticresearch.net/(ep24oaman15c4f 55difa0d55)/nd/Search.aspx?rn=3&li=1&st=1&cs=& s=ND&pt=100&sh=0&id=870. 14 Mills S, Bone K. Principles and practice of phytotherapy. Edinburgh: Churchill Livingstone; 2000:581-9. 15 Barker JE, Meletis CD. Naturopathic pain management. Alternative and Complementary Therapies 2004; 10(4):188-193. 16 Hanus M.; Lafon J.; Mathieu M. Double-blind, randomised, placebo-controlled study to evaluate the efficacy and safety of a fixed combination containing two plant extracts (Crataegus oxyacantha and Eschscholtzia californica) and magnesium in mild-to- moderate anxiety disorders. Current Medical Research and Opinion 2004; 20(1):63-71. 17 Reimeier C, Schneider I, Schneider W, Schafer HL, Elstner EF. Effects of ethanolic extracts from Eschscholtzia californica and Corydalis cava on dimerization and oxidation of enkephalins. Arzneimittelforschung 1995;45:132–136.